These are my Freelance Logo Design Snapshots, just an initial glimpse of ongoing and completed logo and brand identity projects from my portfolio. 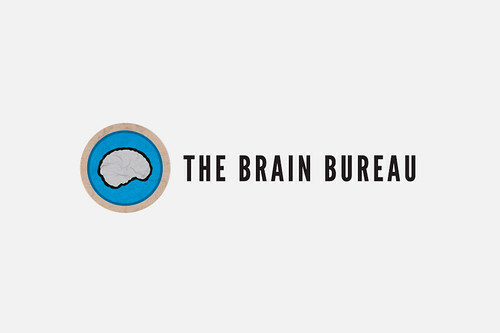 This one is for ‘The Brain Bureau’, a retro styled identity for a psychology group. 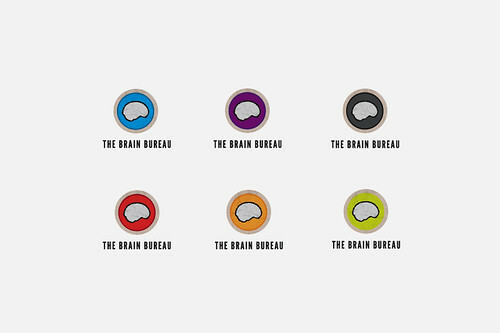 A hand drawn brain from my mouse, no clip art here. A few filters to get it a bit ‘lumpy’ and bob’s your uncle. Felt a subtle distressing of the logomark would look neat, so found a nice concrete texture from Mayang Free Textures and applied it over the top. The logomark is entirely vector, created in Illustrator, other than the cracked effect on top which is a greyscale texture. Then styled the black version with bold colour options for variety and website navigation. Not to mention different coloured business cards for added interest. As on my previous snapshot post for Drevland Consultants, I have used a quality free Open Source font. This one being from ‘The League of Movable Type’ and was a perfect fit for the look and feel I wanted to convey for this logo design. It’s called League Gothic which you can download for free from this Font Library.